The Efroymson Family Fund, a donor-advised fund of the CICF, announced the recipients of the 2016 Efroymson Contemporary Arts Fellowship at a private reception on November 17, 2016 in Chicago. In the past 10 years, the Efroymson Family Fund has awarded 50 fellowships totaling more than $1,000,000 to contemporary artists in Indiana, Illinois, Michigan, Minnesota, Kentucky, Ohio and Wisconsin. The Efroymson Family Fund continues a long legacy of charitable commitment by the Efroymson family in Central Indiana. 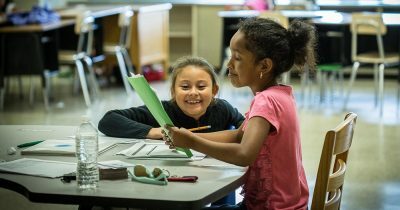 The Efroymson Family Fund was established in 1998 by Dan and Lori Efroymson to promote the viability of communities and to date has awarded more than $90 million in grants in Central Indiana and beyond. LEARN MORE ABOUT THE EFROYMSON FAMILY FUND AND ITS IMPACT HERE. 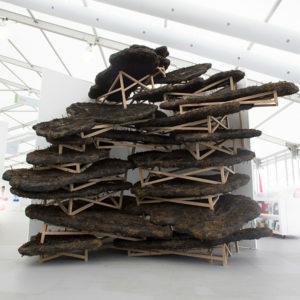 Blane De St. Croix’s work explores the geopolitical landscape through sculpture and installation. His research based practice incorporates on the ground site visits, aerial fly-overs, photographic documentation, interviews, internet mining, and satellite imagery. Together, his artworks and research seek to facilitate an increased understanding of the shared social, political, environmental, and cultural climate challenges we face, both within our local communities, and in the international arena. The fellowship will provide pivotal funding for site visits, fabrication and production of new and innovative work that will be the foundation for Blane’s largest solo exhibition to date, scheduled for 2018 at the Massachusetts Museum of Contemporary Art (MASS MoCA). Funding will also indirectly support the production of his first artist book, a comprehensive survey that demonstrating the impact of his work, artistic methods, and my practice within the history of contemporary art through critical essays and supporting documentation. Scott creates site-specific sculptural installations and photography projects, often using found materials and unusual locations. He is inspired by ancient mythologies to current events, and his installations focus on transformation, ethereality, chance, and discovering beauty through the cycles of nature. He is interested in connecting our current times with the past – specifically, the ancient past— hoping to shed light on the similarities, and the repetitive cycles of humans on earth. 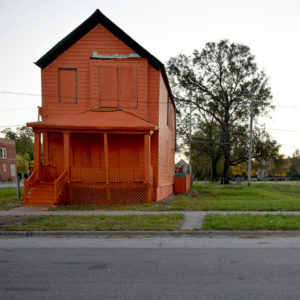 With the fellowship Scott indents to use a portion of the award to complete a site-specific installation in Detroit titled “Signs” supported in part by a Knight Arts Challenge grant. This project includes the creation of 30-50 signs using existing armatures at commercial locations to recreate signs that have disappeared over the last 100 years which has erased much of the history at each site in the process. Through this work, Scott hopes to produce discussions regarding the commodification of art and the history at each location/business and create new perceptions of each selected site. 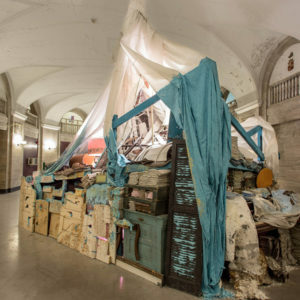 Julie creates large-scale semi-permanent installations using discarded domestic materials and unwanted histories, realizing and regenerating the beauty found in healing of lives lost. 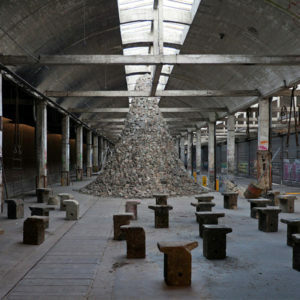 Beginning with once adored furniture, dishware and carefully folded linens she transform our collective agreements of domestic life by shattering and combining them with materials such as concrete, copper and rusted metal, and repurposed wood. Julie is interested in places of ruin and rebirth and her work is an investigation of these psychological spaces and she uses familiar materials and transfers them into a new state, shredding and honoring them into a new form. With the fellowship Julie will establish a new permanent studio space in Grand Rapids, purchase materials and equipment to create new works and travel to New York, Detroit and Chicago to establish art related contacts. Edra seeks to provide engaging spaces that erase boundaries between the audience, the artist, and the work of art. In pursuing this goal she has created immersive site-specific work comprised of both traditional and unusual art objects to facilitate public engagement. Her primary interest with this fellowship is to create a more substantial and ambitious body of work extending from her existing series titled GRAFT. GRAFT alludes to the decorative iron rejas popular throughout Puerto Rico in which these iron screens became ubiquitous in the architecture of post-war Puerto Rico due to the security they provided and their ability to allow for cross ventilation. Today, theses iron fences are not only viewed as a protection device as much as a language that pertains to the island’s visual culture. This body of work alludes to the aesthetic, decorative and nostalgic qualities of these iron fences. Fellowship support will be used for equipment and fabrication of new works, studio rental, travel to Puerto Rico for artistic research and living expenses. Amanda has an architecturally inspired artistic practice and obsessed with color as both a material concern and social construct and she makes art that uses color as a lens to highlight the complexities of the politics of race, place and value in cities. I want to continue to use color as a lens to highlight the complexities of how we value urban space. Amanda is developing a new series of site-specific color interventions, titled “It’s a Gold Mine/Is the Gold Mine?” and has shifted from a palette of saturated hues to GOLD as her color(ed) signifier of cultural currency. She wants to use these installations to shift a narrative in which only those with outside lens (such as developers and speculators) can ever see these spaces as potential gold mines and using a satirical quality she wants to make vacant parcels gold mines by re-embed gold leafed bricks in the ghosted footprint of where houses once used to be. Fellowship support will be used for an upgraded studio space to accommodate larger sculptural works, equipment and supplies, contracted labor and documentation.